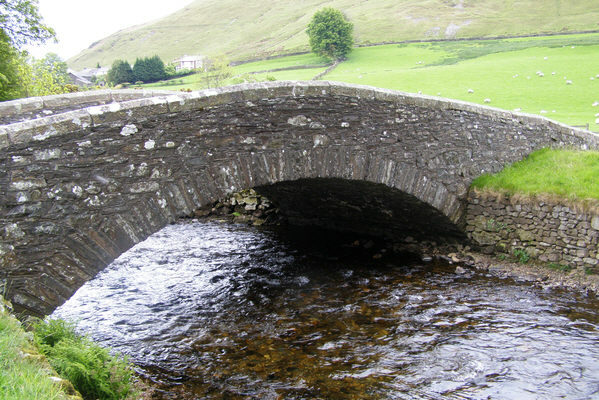 The River Caldew is a river running through Cumbria in England. Historically, the county watered by the Caldew was Cumberland. The Caldew's source is high up on Skiddaw, between the summit and Sale How, in the Lake District, from where it runs east through a valley between Bowscale Fell and Carrock Fell. At Hutton Roof, the river emerges from the dale and turns sharply northwards, a course taking it through the settlements of Hesket Newmarket, Sebergham, Buckabank and Dalston. At Buckabank the river flows over a weir that provides a mill stream to the cotton mill and there is a salmon ladder. Flowing under Hawksdale Bridge at Bridge End and Dalston's two other bridges (Jubilee Bridge and the White Bridge) the river then flows towards Cummersdale where another weir used to exist above the now modernised textile mill. In 2016 the floodwaters of the swollen river Caldew washed away the eighteenth-century Bell Bridge at Sebergham. The river enters the suburbs of Carlisle north of Cummersdale flowing over a weir in Denton Holme at the site of a large Victorian mill. The river flows through the city from Denton Holme beneath west walls and then the Caldew skirts around the castle before emptying into the River Eden opposite Stanwix.
" Probably 'the cold river', from OE 'cald' and OE 'éa' 'river', influenced by OFr 'ewe' 'water'....However, the possibility that this is a Brit. [ish] name meaning 'swift river' from the same root as 'Calder' cannot be ruled out altogether." (OE=Old English, OFr=Old French, Brit.=British language). Text from Wikipedia, available under the Creative Commons Attribution-ShareAlike License (accessed: 29/01/2019). 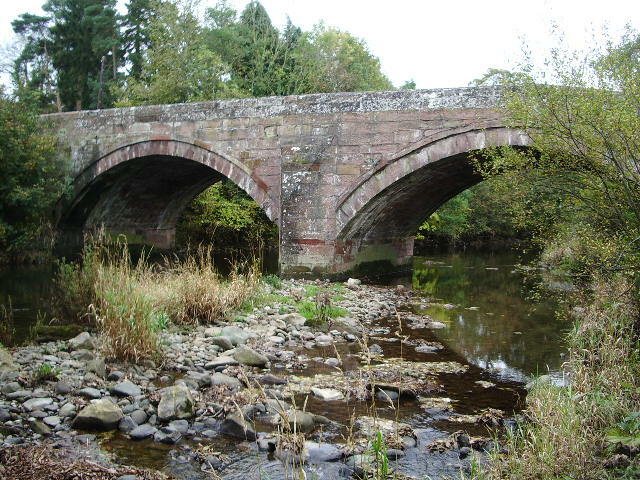 Visit the page: River Caldew for references and further details. You can contribute to this article on Wikipedia.